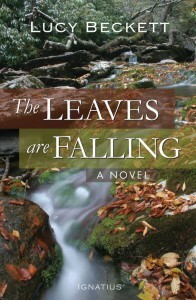 IP Novels Digest: First Day of Fall! Today is the first official day of Fall and what better way to celebrate than to curl up with one of our novels! Lucy Beckett may be a retired English literature professor, but she definitely doesn’t write like one. Fresh off of her success with “Postcard from a Volcano,” Beckett has crafted another work of engaging historical fiction sure to capture the admiration of fans of the genre…What sets Beckett apart as an author is the deep scholarship and awareness that lies behind her “script.” In this case, the gut-wrenching personal story of Halpern is merely a microcosm of a large-scale tragedy – both Jewish and gentile – that is generally unknown outside of eastern Europe…Beckett’s prose not only makes us weep for the fictional character of Halpern, but also gives us an easily palatable yet moving and informative history of the bloody shifting borders and displaced populations of post-WWII Eastern Europe as well as the countless slaughtered souls. Their blood soaked the soil of central and eastern Europe and still haunts that region today. Beckett’s unfolding of this grim tale is both gentle but searing, and one leaves both moved and informed. Beckett poignantly tells this story through subtle yet thoughtful prose, although the horrors are described honestly the writing itself is not violent but seems to be filled with a deep respect and reverence for the lives of all those who were killed. I think many readers will find this refreshing like I did, as many writers often seem to allow the violence to overpower the story and characters of novels which take place during this era…The breadth of knowledge Beckett gives throughout this book is impressive. The politics, philosophies, cultural and religious realities at the time are all explored deeply and thoughtfully. The complicated history of Eastern Europe during the twentieth century and how much it suffered at the hands of Nazism and Communism cannot be underestimated but is so little discussed in our contemporary study of history, let alone popular historical fiction…I would recommend this novel to anyone with an interest in Eastern Europe or good historical fiction. It leaves the reader with a renewed respect not only for all those who lived and died in those horrific conditions of war, but for the survivors who were left with deep, lasting scars. 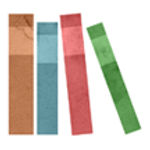 Nancy Piccione from Reading Catholic has some suggestions for slow ‘Summer’ reading, but why not Fall too? 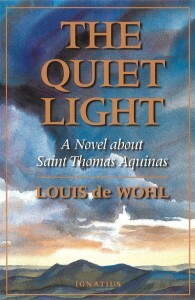 Louis de Wohl, The Quiet Light: A Novel about St. Thomas Aquinas. de Wohl wrote in the 1940s and 1950s a series of historical novels about saints. 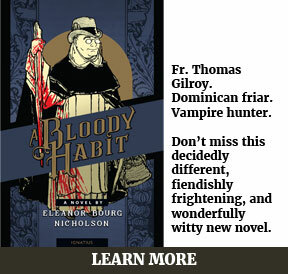 There’s a good reason they are still in-print and popular today. 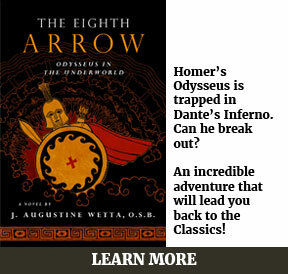 His books are great stories that effortlessly mix fictional and real characters. 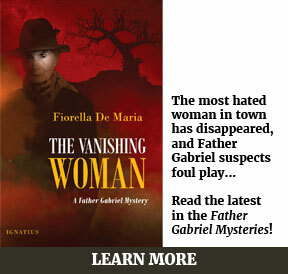 Each of these novels comprise just plain good stories that feel “real” and capture the spirit of the time and the saint in an enjoyable, edifying read. 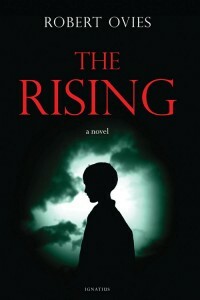 The Rising by Robert Ovies. I am conflicted about this contemporary tale of a boy who can bring people back from the dead, but I know others may enjoy it, so I’m including it here. One the one hand, it is fast-paced; I had no trouble racing through it and wanting to find out what happens next. 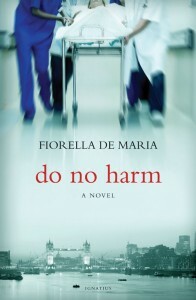 Do No Harm by Fiorella de Maria. Though I’ve been involved in pro-life work for decades, I wasn’t sure I’d be interested in a novel based on these themes. I was so very wrong. Do No Harm is a fantastic, sharply written thriller about a London doctor being prosecuted for saving a patient’s life after a suicide attempt. 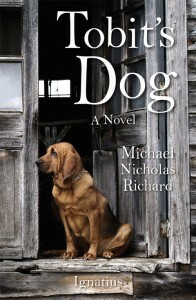 The writing is top-notch, the characters are believable, sympathetic and wholly realistic in their foibles and their heroism. The many plot twists are both emotional and unexpected. Highly recommended. What’s great about Tobit’s Dog is threefold. First, it’s not shoved down your throat. Instead, it’s subtle and funny and clever. The dialogue is worth savoring, the descriptions are technicolor, and the plot is gripping (even though you may already sort of know what’s going to happen)…Secondly, the characters in this book challenged me in many ways. The setting is the Jim Crow South of the United States, which makes reading it…uncomfortable and educational and humorous in ways I would have never expected…Third, this book makes me want to sit down with the book of Tobit again, because I know that I would appreciate it even more with a fresh rereading. I’d love to see this book on a required reading list. There are layers to its characters, to its plot line, and to how it ties in (and differs from) the biblical story that would be great to explore in a classroom.